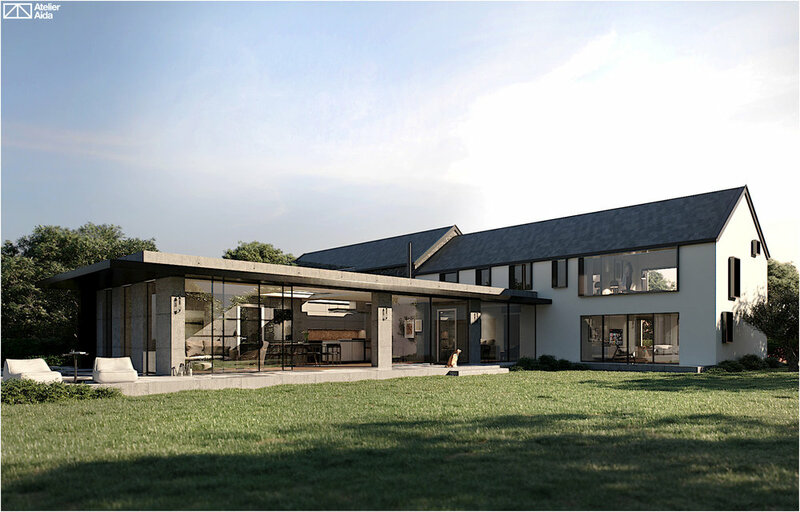 A glass link separates this open plan, vaulted ceiling, black corrugated metal, contemporary and energy efficient extension, to the our clients historic 18th Century stone cottage. Early designs included an option of a flat roof with concrete floors, walls and expanse of South facing glazing. It is our intention to aim for Passive House standard energy efficiency.